Energy demand in Peru is expected to continue to increase over the coming decades, largely fuelled by industrial expansion and increasing economic prosperity. The Peruvian Government has, however, recognised the importance of energy efficiency as a key element in climate change mitigation strategy and action, with energy efficiency featuring among the climate change mitigation actions in Peru’s Nationally Determined Contribution (NDC) under the Paris Agreement of the United Nations Framework Convention on Climate Change (UNFCCC), and also in Peru’s Planning for Climate Change project, known as ‘PlanCC’. The engagement and active participation of the private sector is a key component for delivering PlanCC and NDC objectives for energy efficiency, climate change mitigation and low-carbon development. 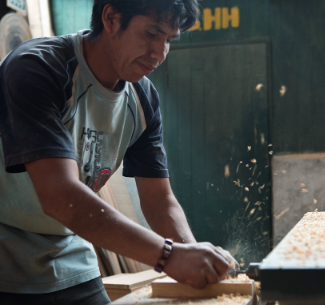 Despite the high potential for energy cost savings across the private sector, a number of barriers prevent businesses in Peru from identifying and implementing energy efficiency opportunities in their premises and operations. This new Inside Story on Climate Compatible Development by CDKN and the Carbon Trust draws out lessons from a joint project, which focused on the small and medium-sized enterprise (SME) market, aiming to develop a broader understanding of the key actors, structure and dynamics of the current market. The project carried out a pilot study with a sample of 12 larger SMEs in Lima operating in more energy-intensive sectors to identify the energy conservation and financial opportunities available to them. In Peru, 99.5% of all registered companies are small and medium-sized enterprises (SMEs) – and energy costs are likely to be proportionately higher for SMEs than for larger companies. Barriers to SME energy efficiency include information and capacity challenges; standardisation issues; lack of economic incentives; and a lack of financial mechanisms dedicated to investment in energy efficiency. partnerships between finance providers, consultants and equipment providers; support for external assurance systems; and reform in the regulatory environment. View more CDKN Inside Stories here. Image credit: Marco Simola/Center for International Forestry Research (CIFOR).